Getting high-fidelity music from Alexa just got a lot easier North of the border with the Echo Link Amp and the Echo Link. You can add both of these Alexa-powered units to existing audio setups and they’ll add Amazon’s multi-speaker capabilities. Notably, users still need to pair the Link and Link Amp with an existing Echo device if you want to use Alexa’s voice controls since the products lack microphones. 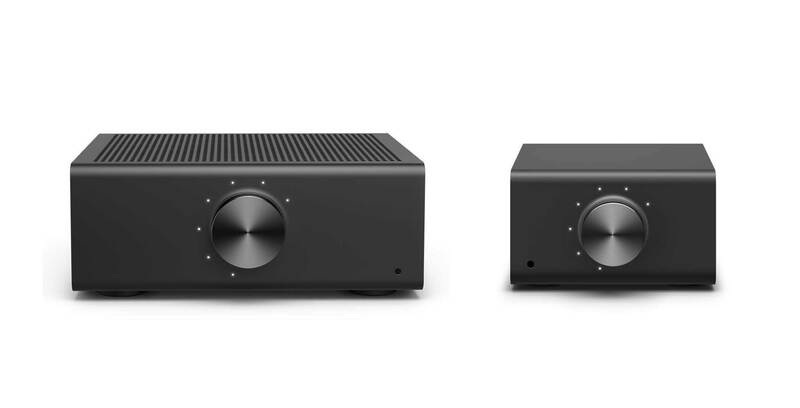 For example, You could hook one of these units up to a soundbar or a surround sound system and then, if you’ve set up a ‘Speaker Group in the Alexa app,’ you can say “Alexa, play music in the living room,” and your existing echo and your speakers connected to the Link Amp will all play music together. The Link Amp retails on Amazon for $399.99 CAD, but it’s the most capable Echo branded music player there is. It’s packing left and right channel inputs for Banana jacks so users can connect two analog speakers since this unit is a two-channel 60W at 8 Ohms Class D Digital amplifier. The Echo Link is on sale for $269.99, and functions the same as the Link Amp, but it can’t power passive analog speakers like the larger of the two units. Although, there are certain types of analog speakers that don’t need power from the unit that will work with the Link. 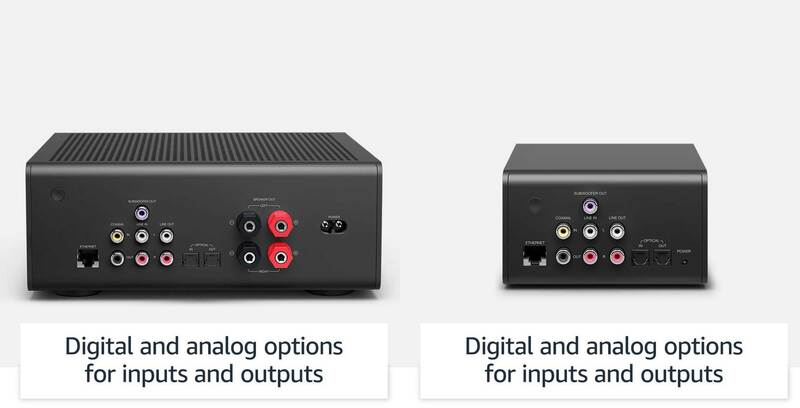 Both of these units can playback music at a much higher fidelity compared to plugging an Echo Dot into an existing amp or receiver because they have a vastly superior audio DAC. Specifically, the Link line of music boxes can produce lossless audio, which is a high-quality version of audio compression. Users can even get high-quality music out of the Link and Link Amp’s headphone jack. 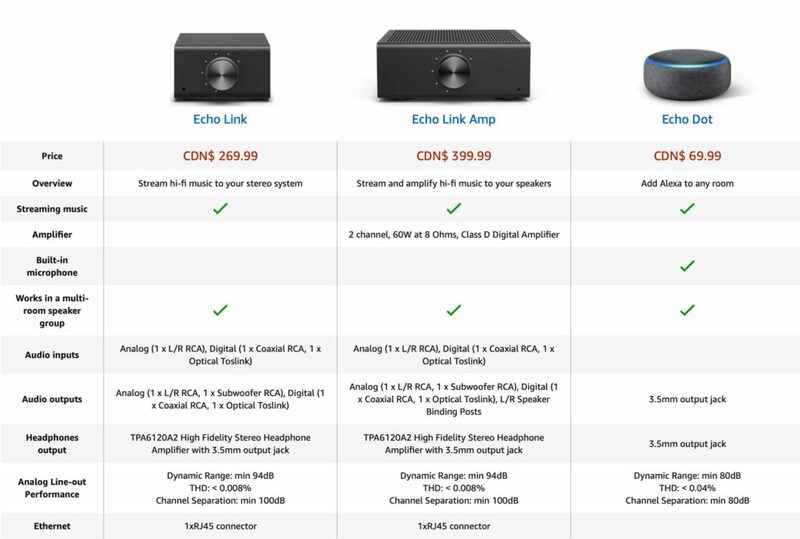 You can check out more detailed specs on the Echo Link and the Echo Link Amp units on Amazon.ca and stay tuned for MobileSyrup’s full review in the coming weeks.